If you are trying to get out of debt then having a yard sale or visiting a car boot sale to get rid of some of your things is a wise move and one that can help you to get back into the green. The question is however, how do you go about selling things at a carboot sale and how do you get these old things that you no longer want to sell at a reasonable price? It can be very disheartening going to a carboot sale and then coming back with all the things you left with and no further out of debt. Here then we will look at some tricks you can use to help things sell. 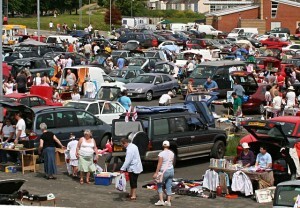 Don’t Price too High: A common mistake when selling at carboot sales is to price too high and to sell products at prices that you think they are worth. This however is a mistake – people go to these places for bargains and the profits you make are reliant on cumulative sales – on lots of things selling and on this earning you a large combined sum. Price your things low and grin and bear it and you will come away with more cash overall. 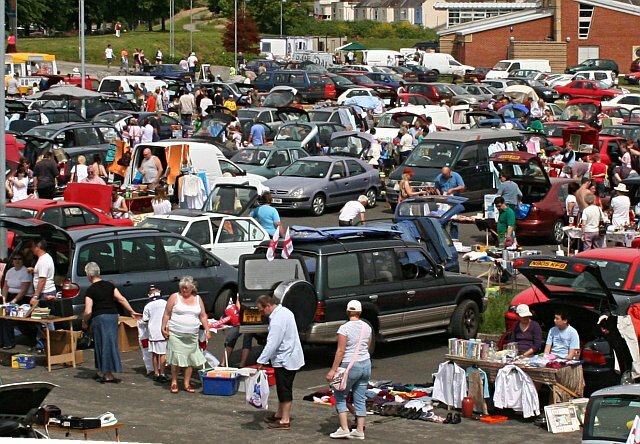 Think Niche: When you’re helping things sell at carboot sales, you need to make sure that you place the items that are going to be popular at the front, and you need to make sure that you take the right things to sell in the first place. In other words knowing your audience and targeting them correctly is crucial, so how do you know what will sell and what won’t? There’s no guarantee here, but one little surprise is that your items are going to sell best if they are niche and unusual. You might go in thinking that you have all the latest DVDs and you’ll fetch a mint for them – but no one goes to a carboot sale for the latest things. Instead, go with a cult children’s TV series, or a host of old fashioned kung fu movies and you are more likely to have a hit on your hands. Don’t be too Professional: Likewise you mustn’t be too professional in your organization and layout. Do make sure that you have price tags on things – if you don’t people will have to ask you the price of things and they won’t like doing this and so may simply decide not to buy after all. However don’t organize your things so that they are immaculately presented or so that they are all facing forward – doing so will mean people think that they’ve seen everything you have on offer at first glance and as a result they won’t go to sort through your offers. Have your things arranged a bit more chaotically however and people will want to rummage through and will be interested to see what you have hidden away. Likewise this will make you seem less professional and less seasoned at carboot sales and in turn this will mean people predict your prices will be lower. Chat: Chatting to people is crucial at carboot sales. Ask people if they can see what they’re looking for and break that barrier so that they feel more comfortable. At the same time this way if they like you they may even feel somewhat obligated to make a purchase. Just don’t be pushy because that will usually have the adverse effect of putting people off a sale.